UPPER MISSOURI RIVER HERITAGE AREA - Upper Missouri River Heritage Area Planning Corp.
As the feasibility nears the halfway mark, learn how your ideas were incorporated into the NHA effort & share thoughts on projects and how NHA designation might promote local economic development. Come talk to the Board and Augie Carlino, from Rivers of Steel National Heritage Area and Nancy Morgan to learn what it would mean for our local economy if we become a Heritage Area. Carlino and Morgan will also bring us up to date on what historic, cultural and other sites they think should be included, as well as potential themes. As noted above, both sessions will be held from 6:00 - 8:00 p.m. and light refreshments will be served. Come learn more! Jenn Rowell of The Electric summarizes the status in Group defines region's national significance as quest for Nationa Heritage Area designation continues, January 31, 2019. Here is the press release for the January 2019 Community Conversations. Read the full press release for past events or contact Jane Weber at 406-454-6814 if you would like more information. For more more news about our work, see Jenn Rowell's article in The Electric: https://theelectricgf.com/2017/10/19/national-heritage-area-project-gaining-momentum-in-great-falls-region/. Learn more at "Everything you need to know about building Montana's first National Heritage Area," by Sarah Dettmer of the Great Falls Tribune. The Upper Missouri River Heritage Area Planning Corporation, Inc. (UMRHAPC) is an all-volunteer nonprofit formed to establish the first National Heritage Area (NHA) in Montana. To do this, we need to demonstrate to Congress that our regional landscape, culture and history are nationally significant to America's heritage. 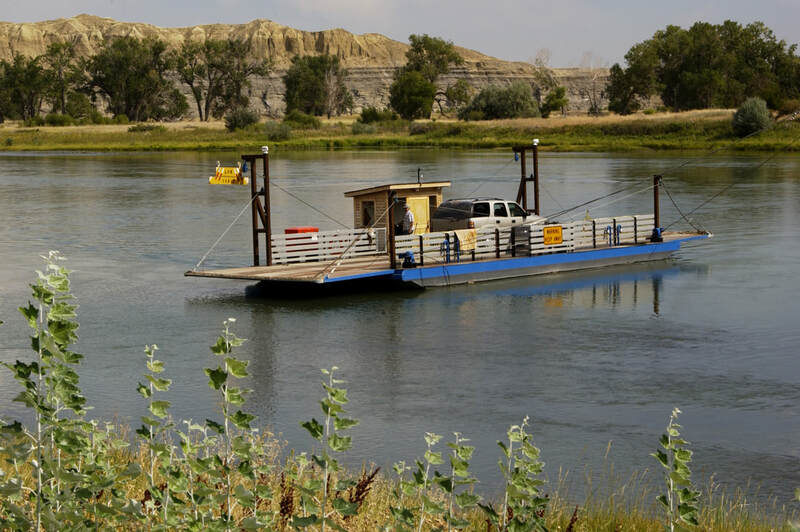 We are working collaboratively with the local communities to define this special landscape along the Missouri River, from Fort Benton to the Gates of the Mountains, as a National Heritage Area. The designation is honorary. For more info about the nationally significant landmarks in this region, see the C.M. Russell Museum and Studio National Historic Landmark, Fort Benton National Historic Landmark, the Great Falls Lewis and Clark Great Falls Portage National Historic Landmark, and the First People's Buffalo Jump National Historic Landmark. Although Congressional designation triggers eligibility for competitive modest federal funding, the Area is locally powered and managed by the Board of Directors and largely dependent on locally raised funding. All funds raised will be used to promote economic development and tourism within the Upper Missouri River area. The federal legislation has NO impact on private property rights. It does NOT require property owners to permit public access to his or her property or modify any provisions with regard to public access or use of private lands. A National Heritage Area is NOT a government land grab. The National Park Service does NOT manage the Heritage Area. Explore the history, natural resources, businesses, industries, arts and culture of this area! If you would like more information on the exciting and interesting, check out the many tourism and hospitality organizations in this corridor. For example, check in with Great Falls Tourism to find out more about the many assets an things to do in and around Great Falls. visitgreatfallsmontana.org. And then check in with "Fort Benton, The Birthplace of Montana Experience All Fort Benton Has to Offer" to find out about the many assets and things to do in and around Fort Benton. What makes the Upper Missouri River from Fort Benton to the Gates of the Mountains unique? The stories of Lewis and Clark and the people they met? The art of Charlie Russell? Our agricultural way of life? The Native American history? The industrial history - we literally "wired the world," by smelting the copper from the Butte mines. Today, the five dams on the river provide electrical power to the United States. We are working to capture all these stories as a part of our Heritage Area work. What story would you like to share about this area? Learn more and help our efforts! Get involved and help our efforts to make this NHA happen! For more information, please contact Jane Weber, Chair of the Upper Missouri River Heritage Area Planning Corporation Board of Directors during the day at (406) 454-6814.